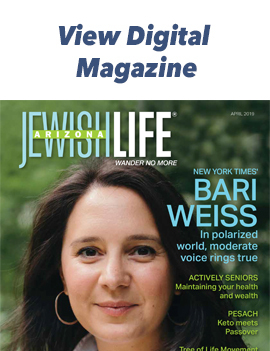 Little did Katrina Shawver know that when she received a lead to interview Holocaust survivor Henry Zguda for a newspaper article, that she would become the only one entrusted with telling the story of his life. And Katrina’s book does just that. 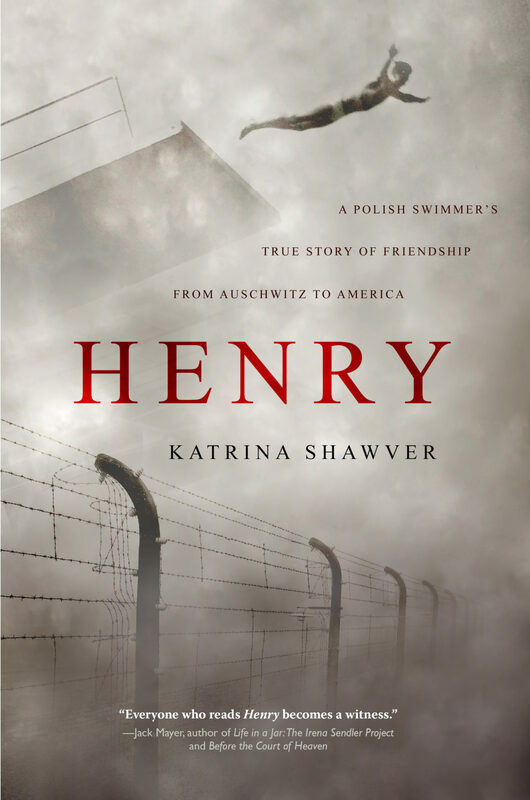 Henry: A Polish Swimmer’s True Story of Friendship from Auschwitz to America, tells the story of a Polish champion swimmer, who was Catholic, and had been imprisoned in Auschwitz and Buchenwald – all written by a non-Jewish woman. After that initial interview, Katrina was on her patio with a friend talking about Henry and how fascinating he was, and that there was one no one to write his story. He had no siblings, no children and few relatives. Her friend suggested that maybe Katrina was the one to write it. 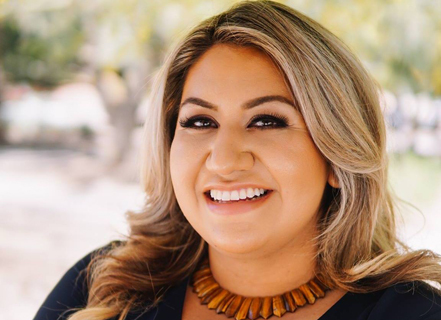 “This is the same friend who told me I could hang ceiling fans and build shelves,” she jokes. 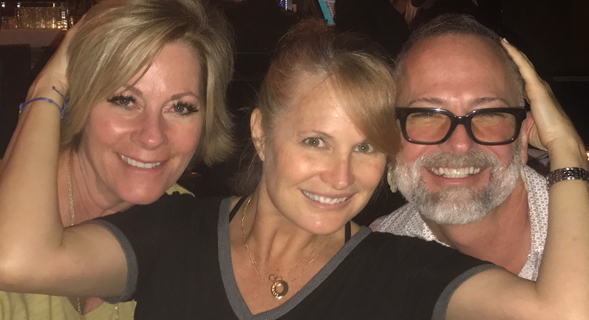 Katrina thought about what her friend said, and one day she called Henry and said, “Henry let’s write a book.” She explains that the two had hit it off when they initially met and over the next seven months of meeting twice a week, a true friendship formed. But then summer vacation began, and Katrina got busy with her job, her husband and three children. “I was getting embarrassed that the thing I had promised to write wasn’t coming together,” she says. But Katrina believed Henry’s stories and had seen photos and evidence. “One day he took me into his office, and there was a poster on the wall that his nephew had done for a school project, and there was this letter glued to the poster board.” She asked Henry what it was and he responded, “One of my letters from camp. 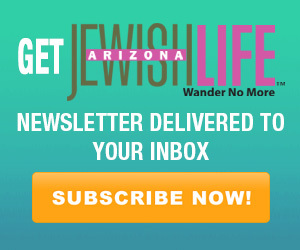 Do you want to see more – I have more.” Henry had original letters on Auschwitz and Buchenwald stationery from when he had written home to his mother. “That was a true ‘Oh my God’ moment,” says Katrina. Then in November 2003, Henry died unexpectedly. After Henry’s death, a friend of a friend reached out to the U.S. Holocaust Museum, and the museum’s head of archives came immediately. Katrina helped Nancy organize a donation of 39 documents, photos and artifacts. “I knew then that they would be in public domain and that they would be preserved,” she says. Nancy passed away in June 2013. Since she only had four distant nieces and very few relatives, Katrina organized the funeral and wrote the obituary. At the funeral, she asked the relatives how much Henry had told them, and soon realized that he had not told them a lot. “I realized then that I either have to live with myself for not finishing the book or I have to do what I need to do to finish it,” says Katrina. She flew to Poland in September of 2013, and inspired by the movie “Julie & Julia” where a blogger wrote every day for a year about trying Julia Child’s recipes, Katrina blogged every day for nine months. These blogs helped form the core of what later became the book. “I knew nothing about Poland, so I became fascinated by this unknown place that obviously ended up playing a key part in what happened in World War II,” says Katrina. Katrina would love to find another Polish survivor to collaborate with because she feels that she could build on what she has already learned writing Henry. She wrote Henry nights and weekends while working full-time. “It was my story and his story, and I had worked so hard and invested so much money that I just wanted it to be the best that I could make it,” says Katrina. 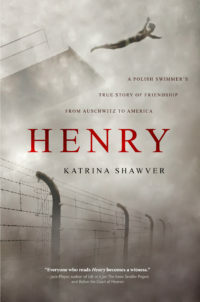 Since launching in November 2017 Henry: A Polish Swimmer’s True Story of Friendship from Auschwitz to America has won numerous awards and was added to the list of Books about Poland in English by The Consulate General of the Republic of Poland in Los Angeles, the first addition to this list since 2014. For more information on the book, and Katrina’s book signings and speaking engagements, visit katrinashawver.com. Well Katriona, it looks like both the book – and you – deserve awards! What an amazing tale of endurance and perseverance – both Henry’s and yours. I look forward to obtaining a copy, and being enthralled by both your story and Henry’s – and Poland’s story of survival under the brutal occupation by Germany, and by the Soviets/Russians.